Our Preventive Maintenance Plan helps you save money and avoid unnecessary stress. Reduce costly repairs and replacements while you increase efficiency…which lowers your utility costs! Keep in mind that if you let this lint build up too much it could possibly cause a dangerous fire or perhaps cause your compressor to overheat and you will have to fork out Thousand$ for and new one! 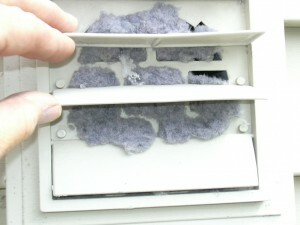 This cleaning should also lower your electric bill in the process if you have a major lint clog. It practically pays for itself! Perhaps the MOLD on the Washer is making your kids sick and you do not even know it. Let Miami Appliance Repair take care of that for you! Whether you are a homeowner or a landlord, you really ought to consider signing up for an Immediate Appliance Preventive Maintenance Plan, which can help prevent over 90% of all repairs and increase efficiencies by 20% or more – all of which can prevent emergencies and lower home expenses for years to come. REFRIGERATOR: Clean condenser coils; 10-point-check including airflow and temperature; and all other functional parts. WASHER: Change two inlet hoses (if needed); clean water inlet screens. Sanitize machine. Clean rubber Bellow on all front loader washers. DRYER: Clean out inner dryer vent; provide and install up to four feet of aluminum flex, if needed. DISHWASHER: Clean circulation pump screen, filters, and spray arms. Sanitize machine. OVEN: Check and calibrate temperature. Inspect door opening and shutting. 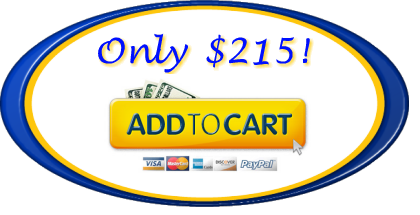 20% off parts and labor on future repairs for 365 days. Preventive maintenance service once a year. 90 days warranty on service. 1 year warranty on parts installed. Terms & Conditions: Miami Appliance Repair Membership benefits are in effect for one year from the date of the initial Preventive Maintenance Service for the set address. Preventive Maintenance Service Plan is provided on all household appliances listed, regardless of age, make, or model. So Exactly How Does This Work? 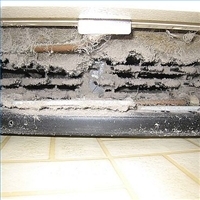 EXAMPLE: Lets say you call Miami Appliance Repair for a down refrigerator, we come to your home and diagnose that you need a new evaporator fan and the cost will be $220. At this time the Technician will ask you if you have ever cleaned your coils or had your dryer cleaned out before, then we will ask you if you are interested in saving 20% by joining our Preventative Maintenance Plan? If at the time you say yes the tech will subtract 20% from the cost of the repair and add the $215 to the total for the Preventative Maintenance Plan. He will either do the entire Preventative Maint. cleaning on all stated appliances right there or you can schedule another time if you like. All service calls for the 1 year from this day forward will get you 20% off and a Free service call/diagnosis. What this means is that in the future if you call Miami Appliance Repair now for your dryer and we diagnose the appliance issue and you decide it is better to just get a new appliance other than electing for us to do the repair due to age, cost etc. the cost for us to come to your house at that time will be FREE! That's a $49.95 value and remember if we did do the repair on your now broken dryer the total will be at a 20% discount because you purchased our Preventative Maintenance Plan. Let Others Know On Google! New Next Day Appliance Parts Delivery! Leave a Kind Testimonial If You Are Logged Into...YAHOO!